KetaMed Health & Wellness in Rye Brook, New York, provides therapeutic Ketamine infusions in a warm and safe environment to treat a number of conditions, including depression, post-traumatic stress disorder, panic disorder, fibromyalgia, migraines, obsessive-compulsive disorder (OCD), and complex regional pain syndrome (CRPS). Dr. Douglas Kornreich, a successful anesthesiologist who has been in practice in the New York metro region for over 20 years, founded KetaMed Health & Wellness. 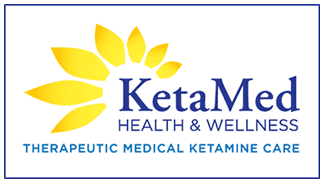 KetaMed combines the precision and experience of a seasoned anesthesiologist with the rigorous diagnostic tools that mental health professionals use to develop personalized Ketamine treatments for patients living with a range of treatment-resistant conditions. In the past 10 years, Ketamine infusions have delivered long-lasting relief and hope to thousands of patients across the country suffering from a range of conditions. KetaMed treatments are tailored to each individual, consider the whole patient, and are delivered with care in specially designed treatment rooms. Your comfort, calm, and safety are KetaMed’s priority. KetaMed Health & Wellness offers quality medical care, providing relief and hope to patients throughout Westchester and Fairfield counties in a safe, relaxing environment. Call Dr. Douglas Kornreich’s office today and learn how to take back control so that you can live your fullest, happiest life. Visit us at our new office building located in Bedford Hills at Bellava MedAesthetics! Read his thoughts on the benefits of Ketamine Infusion Therapy here. debilitating conditions that have kept them from living their fullest, healthiest lives. Thousands of people in our region suffer from chronic conditions that cause unrelenting physical and emotional pain. Through the expansion of our Health and Wellness Centers throughout the region we are committed to reaching these people and providing quality medical and psychiatric support through the delivery of Ketamine infusions, giving more people the freedom to live full lives free from the chronic pain and suffering of mental and behavioral conditions in a safe, supportive, and private environment.